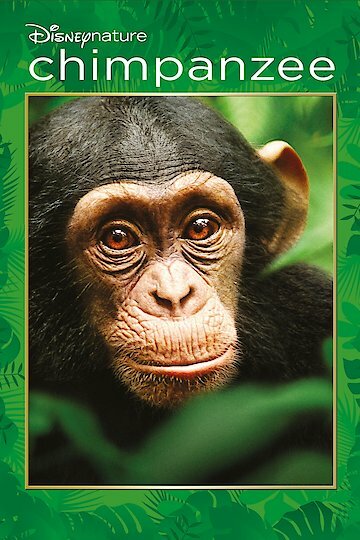 "For Oscar, every day is an adventure"
The movie Chimpanzee is an amazing film about animal life in Africa. It is a documentary about how the Chimpanzee can defend itself to survive. The photography is rated one of a kind and most people find the movie very entertaining. The story centers on a baby Chimpanzee who is orphaned right at the beginning of the movie. Some small children could find this disturbing and not understand what is happening. The movie is very educational for older children and they will be able to see how Chimpanzees interact. Most animal documentaries are very fascinating. They take years to film and can teach viewers some amazing things about the animal kingdom. The producers of this movie went to all kinds of lengths to get the footage they did. The camera work is very good and there are many close ups of the animals grooming themselves and eating. They also caught some great scenes of the Chimps fighting and chasing each other. The forest scenes in this jungle are also one of a kind and most viewers have never seen this type of thing before. Unfortunately the story line is not there and many people get bored with the narration, which is full of jokes. It can be confusing at times. If someone wants to look at the movie as a documentary, it is a great flick. The movie was released in 2012 and was a box office hit. It is now on video for home use. This Disney nature movie was targeted at children, but adults found it a great way to learn about the animal kingdom. The movie recommends children be five and up to see it, but many younger children are frightened by some of the scenes in the movie. People who are expecting to see a story about a chimp will be disappointed. It is a documentary. The movie took over 700 hundred days to film and some of that extra footage and the story behind it is almost as interesting as the movie itself. It is possible to see this extra footage on the video releases of the movie. There are some fun and interesting things to watch before or after watching the movie. It is also possible to view an interview with the director Mark Linfield and gain some extra insight. The film is a great success for those who enjoy animal life and want a closer look. Chimpanzee is currently available to watch and stream, download, buy on demand at Starz, Vudu, iTunes, YouTube VOD online.